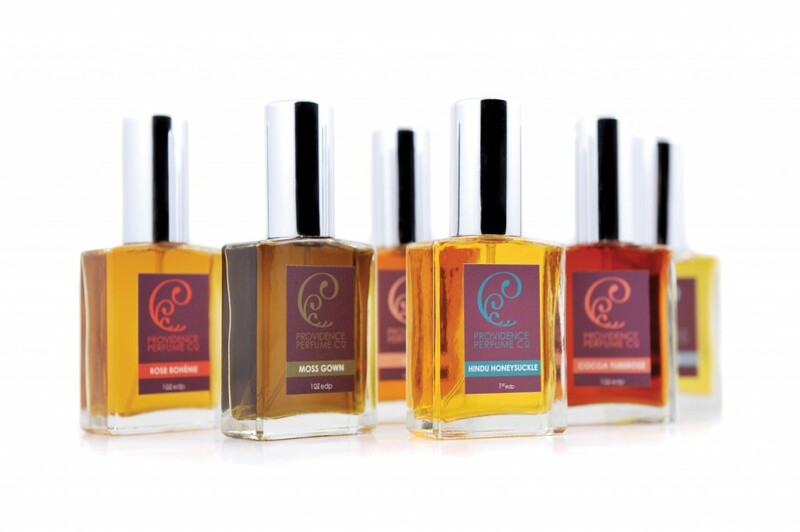 When Providence Perfume Company owner Charna Ethier offered to let me sample an all-natural perfume whose ingredients list included some obscure thing called “ambergris,” I was initially a bit skeptical. I remembered hearing once that they put skunk urine in some perfumes (is that true?). But I was also overwhelmingly optimistic. This was over a half-hour into my discussion with the lively and tenacious Ethier at her store on Wickenden Street, and we had spent a bulk of that time chatting about the golden age of perfumery while she shared her vast knowledge on exotic perfume ingredients, along with quite a few whiffs of some amazing fragrances. She brandished a tiny, tiny glass bottle. “This little bit is worth well over 100 dollars,” she said, rolling the fragrance across my wrist. I tensed. Oh god, what if I dropped it? As it turns out, ambergris is one of many exceedingly rare aromatic items, with an explanation that reads like a magical fable: When some kinds of whale eat just the right kind of cuttlefish to such an excess that they vomit, these pools of vomit sometimes congeal and simmer in the sea and sift through the water, baking in the sun until randomly, accidentally, they wash ashore somewhere for some incredibly lucky sonovagun to happen upon it. That’s right. Ambergris is whale vomit. It’s incredibly valuable, and it smells like a dream. An Australian couple in 2006 found a 32-pound chunk of sludgy, tar-like something they claimed smelled like sweet cow dung (huh?). As it turns out, that netted them £155,000 ($295,000) when they sold it, because, you know, whale vomit. The scent of the ambergris-based perfume applied to my wrist was a gentle musk, sharp and strong, androgynous and well-rounded, but oddly clean-smelling. While sniffing, I tried to think of the vomit simmering in the ocean, wondering if nausea might hit me. But it didn’t. The smell was absolutely amazing, completely alien but vaguely familiar and pleasant. It made me think of that magic potion in Harry Potter that smells like your favorite things. Charna Ethier is a real-life potions master. 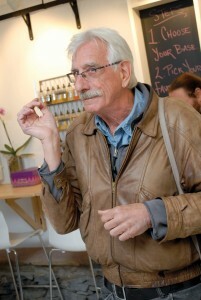 “Making a perfume is like building a house,” Ethier explained to me. “You have to pour the foundation and build from the base, up.” We were at the Perfume Bar in the store, where yes, you can build a fragrance from the ground up under her guidance (you can also pre-buy the empty bottle and a voucher for gift-giving purposes). I still smile when I think of the comparison to Build-A-Bear. Every perfume scent is comprised of top, heart and base notes. There are roughly a dozen options for each tier at the perfume bar, and each final perfume typically has 1-2 top notes, 4 or so heart notes and 2 or 3 base notes. After application, the dominating scents progress in that order over time. So what’s your fancy? Sweet and fruity? Clean and floral? Spicy? “Rose and jasmine are the building blocks of the whole perfume industry. 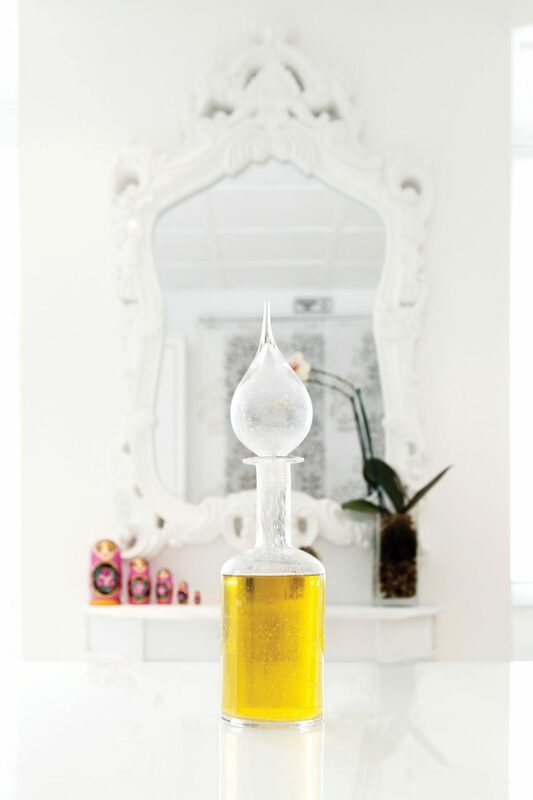 They round out a scent, and are very well-balanced.” But what’s the cost of a kilo of real jasmine essence? About $59,000. Mainstream perfume companies tend to use roughly upward of 98% synthetic chemicals. Rather than use fragrances as they occur naturally, they isolated the individual chemicals and synthesized them cheaply. For that reason, these all-natural perfumes can be a little bit pricier, but the quality is above and beyond. The International Fragrance Association (IFRA) regulates the aroma industry from within; most of those sitting on the directorial board have ties to the aroma industry. “Roughly 85% of natural ingredients are banned, whereas only 15% of synthetics have been,” Ethier explained. The general rule of thumb seems to be that if anyone has ever had an allergic reaction to an ingredient, then it becomes restricted. Remarkably few studies are being done on the effects of aromatic ingredients. For example, perfumes cannot contain more than 3% real lavender. Lavender! That delicate purple flower in the mint family that smells so wonderful and relaxing. 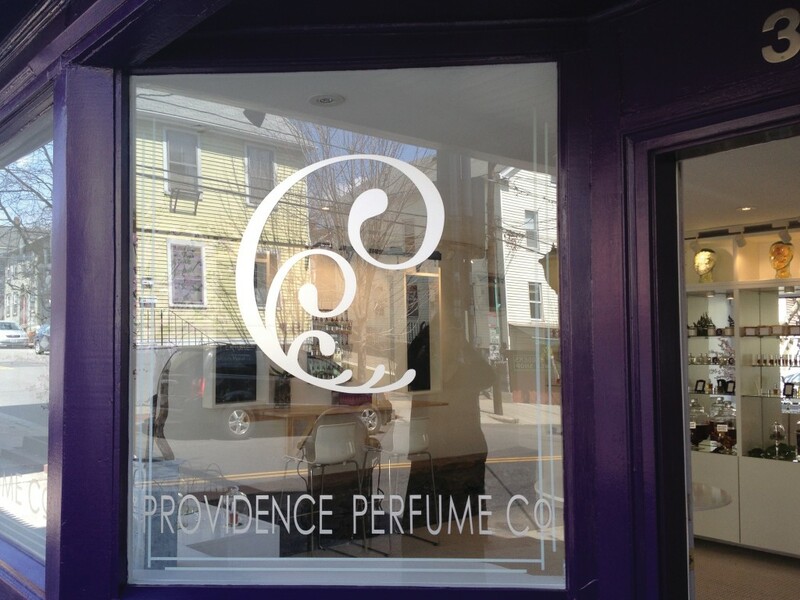 Though the Providence Perfume Company sources what it can from local vendors, most ingredients for perfumes come from areas like India, Turkey, France and Morocco, just to name a few. The shop has somewhere around 630 different suppliers. Some ingredients are hard to come by, like ambergris. Others are out there, but it takes years to find the right one. 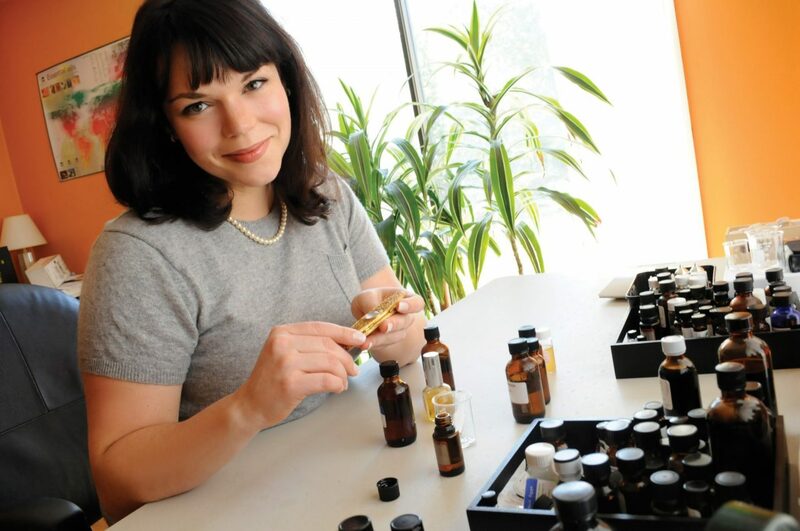 Ethier has been a perfumer for around a decade, and she opened her store about two years ago so she could have a home base for a business that was thriving internationally. Ethier and I were standing by a rack of tinctures and essential oils: “We get our specific sandalwood from a supplier in Hawaii. It’s the best I’ve come by. Oh! And try this,” she said, excitedly picking up a different vial and urging me to smell. It was tomato leaf from the south of France, and it smelled exactly like a rich, fresh caprese salad. Mmmhmm. 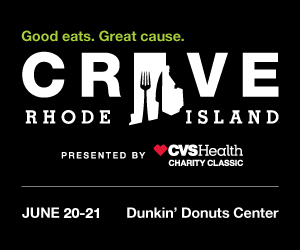 Come to think of it, hunger is a pretty good reaction you’d want to induce in people who catch a whiff of your scent, isn’t it? For all intents and purposes, Providence Perfume Company is one of the only “organic” perfumeries around, and for that reason, it’s 100% illegal in the eyes (and nose) of IFRA. Though this rebel is about as close as you can get in the industry, Ethier explained that she can’t actually call her products organic. “The only way to extract a number of delicate exotic flowers is through a process called solvent extraction.” When the innocuous process is complete, trace amounts of solvents might remain, so the final products can’t be officially called organic. “This process is why so many of our perfumes have color to them.” Most mainstream perfumes are clear, but again, because of the synthetic ingredients. In addition to the Perfume Bar (which makes a great gift for anyone in your life who wants to smell amazing), PPC also has a fill station for body lotion and shower gel that functions just like the growler model at most breweries: simply purchase a vintage glass bottle and fill it up with your chosen product, and then quite literally just rinse and repeat. 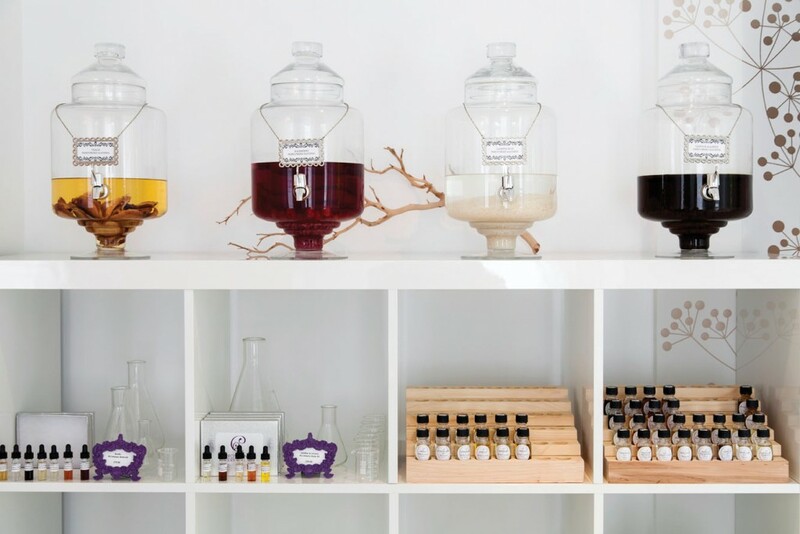 Charna Ethier also teaches perfumery classes right in the store. Students get the opportunity to craft and name their own fragrances, while learning strategies for creating and marketing a business. These intensive, weekend-long seminars attract aspiring perfumers from around the globe. Clients vary from those already in a scented-industry looking to expand their horizons to wealthy business people looking for a career change. Locals tend to frequent the $70 community class: two hours on a Sunday, which represents what Charna affectionately calls “perfume bar on steroids.” No matter which flavor students are in for, they learn a lot about an exciting industry that’s changed quite a bit in the last century. After all, there are supposedly more astronauts than there are perfumers. 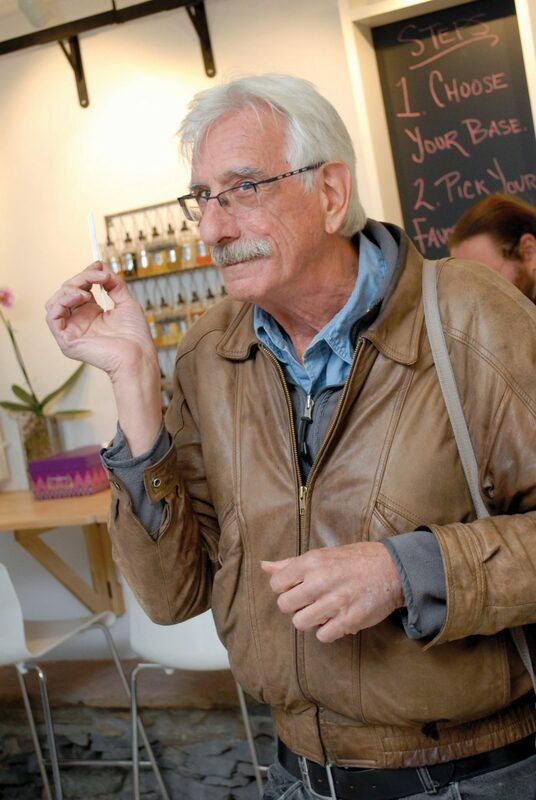 “Vintage perfumes used to have so much nuance to them,” Ethier reminisced. “But most of the mainstream perfumeries pushed toward simple, synthetic blends over time.” She appreciates the value of a genuinely good product and wants to preserve something the world seems to be losing, especially when everyone has an idea of what things like rose or lavender should smell like, without hardly ever knowing what real rose or lavender smell like. 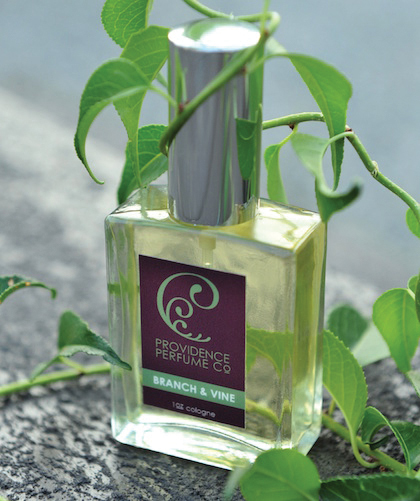 At Providence Perfume Company, you get the real deal. “And their nostrils?” I add. We laugh. Ed Note: Following the interview, Ms. Ethier decided to offer an early-bird holiday sale just for Motif readers. No one’s done that before, but we decided to pass her offer along to you – so, mention “Motif” at checkout to receive a 15% discount on any fragrances. Good in store only, and only through November 25. © 2019 Motif Magazine. All rights reserved. Motif is an arts and entertainment magazine based in Providence, Rhode Island with articles on rock clubs, theatre, ballet, shows, clubs, comics, fine arts, shopping, books, environment, food, trivia, news and of course the Hummel Report.